“She was involved in every decision,’’ Aaron Feuerstein said of the role his wife, Louise, played in reviving Malden Mills in Lawrence. After a fire destroyed the Malden Mills factory in Lawrence in 1995, Louise Feuerstein became an integral part of reviving a business that had been in her husband’s family for nearly a century. sided, windowless factories that were common in the manufacturing world. The result looked more like a college campus than a textile plant, combining modern and historical design. The National Trust for Historic Preservation presented an award honoring the Feuersteins’ work. 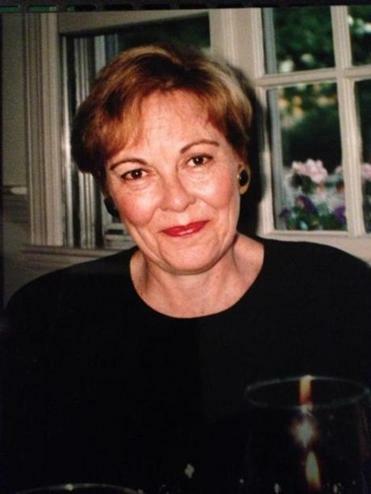 Eva Louise Woodhead Feuerstein died of ovarian cancer Sept. 13 in her Brookline home. She was 76 and had spent half her time at a second home in Berlin. Five hours after the 8 p.m. explosion, the fire continued to rage out of control at the four-building complex, sending flames more than 50 feet into the sky and forcing nearby residents to evacuate. The blaze engulfed at least one house. That was also true at Malden Mills, he said. After the fire, he kept employees on the payroll during the rebuilding and became a national symbol for doing the right thing in an era when many manufacturing businesses were shrinking or moving operations out of the country. His approach was considered especially commendable because insurance money would have allowed him to close the business and retire comfortably, an option he said he never considered. His wife, he said, was his stalwart partner in the Malden Mills reconstruction. Mrs. Feuerstein, who had developed expertise in textiles and antique rugs, was working with her husband as head of one of the mill’s textile divisions at the time of the fire. Mrs. Feuerstein, he said, insisted that the design incorporate windows that let in plenty of natural light and space that would “showcase the company’s products,” including fabrics of all types and colors. Malden Mills was best known as the original manufacturer of Polartec fleece and other outerwear products. 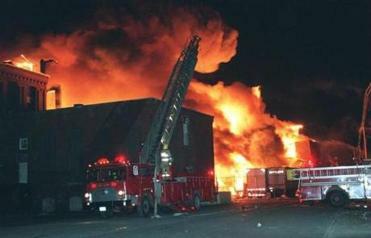 Financial troubles in years after the fire led to bankruptcy. In 2007, the company was sold and its name changed to Polartec LLC. Mrs. Feuerstein created and ran the Malden Mills Retail Store. She also helped run a division of Malden Mills that sold velvet upholstery fabrics. Eva Louise Godfrey was born in Logan, Utah, the daughter of a physician who died when she was 5. After earning a bachelor’s degree from Brigham Young University, she enrolled in a master’s program at Utah State University, during which she spent a year in Denmark, where “her love for art and beauty really flourished,” her husband said. After graduating with a master’s in education, she taught at Vassar College in New York and later worked as an assistant in the sociology department at Harvard University. Her first marriage, to William Woodhead, ended in divorce. She was flying from Salt Lake City to Boston in 1984 when she met Aaron Feuerstein, a widower with three grown children. By then Mrs. Feuerstein had changed careers. A lifelong love of textiles led her to the Skinner international auction house in Marlborough, where she was an appraiser and head of the antique rug department. “She was incredibly bright and intellectually superior,” Feuerstein said. A service has been held for Mrs. Feuerstein, who in addition to her husband leaves two stepsons, Daniel of Chicago and Raphael of Brookline; a stepdaughter, Joyce of Cotuit; and two brothers, Robert Godfrey of Boise, Idaho, and David Godfrey of Salt Lake City. Kathleen McKenna can be reached at kmck66@ comcast.net.